Born in Martinez near Berkeley and raised in Southern California, Melinda Anne Roberts acquired her passion for photography and history during the six years she lived along the Hudson River, down the road from the Sleepy Hollow Cemetery and home of author Washington Irving, in New York's Historic Hudson Valley. The day before her 55th birthday, in November 2011, just five months after arriving in Wisconsin for a new job, she was diagnosed with Stage III colon cancer and given a two-year window. When her oncologist suggested she "do something fun" since "we don't know how much time you have", she set out in June 2012 on her first journey -- to visit Baraboo's ancient Man Mound. Along the way she discovered several Wisconsin Historical Society "official" markers, learned there were 532 across the state and no useable resource on how to locate them, and decided to visit and digitally record them all in the remaining 18 months of her two-year window. Today, Melinda's award-winning WisconsinHistoricalMarkers.com website is populated with nearly 75,000 photographs of more than 6,000 Wisconsin historical markers and sites, lighthouses, Smokey the Bear signs, whimsical roadside attractions, and vintage hamburger joints. She and her project have appeared in numerous news reports, newspaper and magazine articles, and she was featured in an episode of Wisconsin Public Television's "Wisconsin Life". Her website is endorsed by the Door County Coastal Byway, and was awarded the Manitowoc County Historical Society 2014 Historic Preservation Award for Preservation Service. Along the way serendipity introduced Melinda to her own Wisconsin roots. She discovered her great-grandmother Annette Rued Johnson (for whom she was given the middle name "Anne") had immigrated from Norway to a farm in Wautoma. Melinda's beloved grandmother, Ethel Verna Peterson, was born there in 1895. While just a young boy, her great uncle, Hjalmar Rued Höland, joined his older sister "Nettie" in Wautoma. He grew up, graduated from UW-Madison, and settled in Ephraim in Door County. There he researched and wrote prolifically on Door County history and Norwegian and Belgian migration to Wisconsin. He established the Door County Historical Society. He became world famous for his work with the Minnesota Kensington Rune Stone, which he believed proved Norwegians were in America long before Columbus brought his three little ships through the Caribbean. Melinda also discovered she had unknowingly literally walked as many as 120 years later in the footsteps of her Uncle Hjalmar as she visited and photographed Brown County and Door County historical markers and sites -- many of which had been preserved and marked by him! That made her own journey through Wisconsin history all the more remarkable and meaningful. Melinda has a BA in English & Comparative Literatures and an MATESOL. She spent 21 years working as a litigation paralegal, and the next 20 years teaching English as a Second Language, Composition and Writing, and English Literature in adult schools and community colleges in California, New York, and Wisconsin. 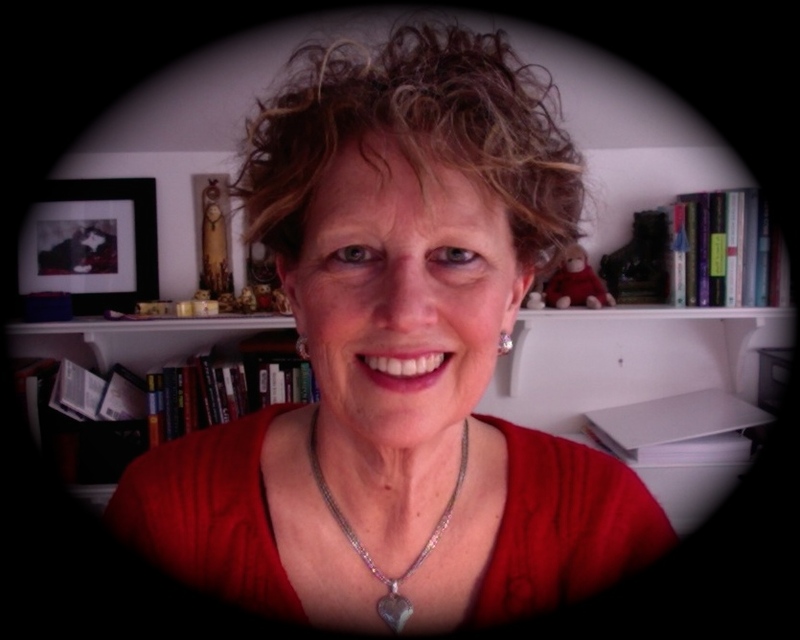 She has directed award-winning ESL programs, written curriculum, presented at local, state, national, and international conferences, and authored a literacy-level workbook to accompany the internationally acclaimed Side-by-Side ESL series created by Bill Bliss and Stephen Molinsky. Her most recent project was teaching ESL on a Green Bay area dairy farm. 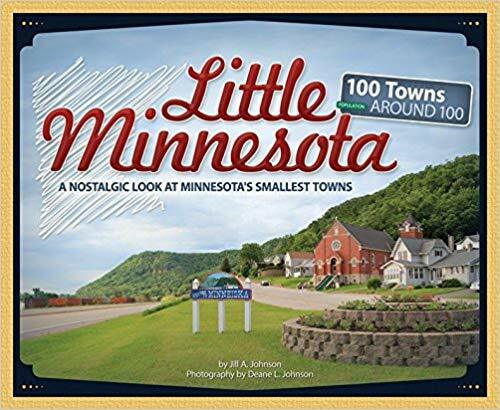 Melinda is thrilled to have been given the opportunity to research, write and photograph Little Wisconsin, proud to discover her Wisconsin roots and humbled to be following in the footsteps of her Norwegian ancestors, all of whom she absolutely believes are here with her on this wonderful, wonderful journey. Melinda lives in De Pere with her tailed traveling companion Dexter Nöel and his kitty, Bailey Boo.